Smallfoot (film, 2018). A 2018 American 3D computer-animated musical comedy film with "PG" rating by Warner Bros. Pictures. Directed by Karey Kirkpatrick. Official Trailer. 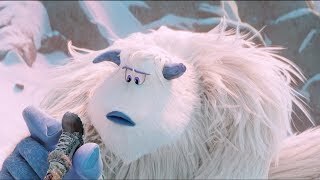 Smallfoot is a 2018 American 3D computer-animated musical comedy film directed by Karey Kirkpatrick. 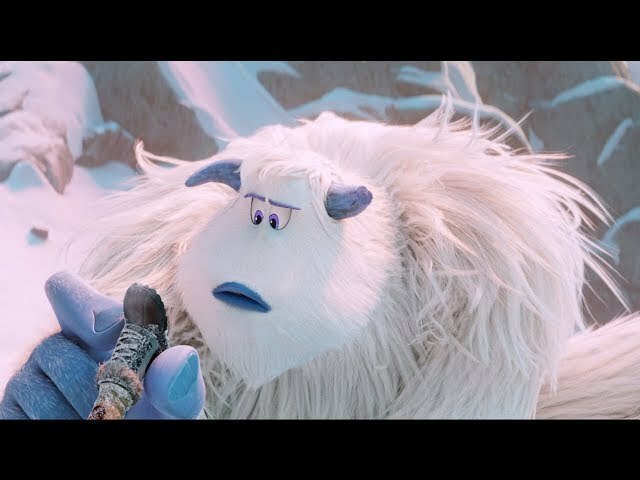 SMALLFOOT - Official Final Trailer . A village of Yetis lives in isolation on the top of a mountain in the Himalayas, above the clouds and hidden away from sight. Migo is a yeti who abides by the law of the ancient stones held by the Stonekeeper, the yetis' leader. Migo's father, Dorgle, projects himself through the air each morning to hit a gong with his head, believing this allows the sun to rise. While learning how to ring the gong, Migo is distracted by the Stonekeeper's daughter, Meechee, whom he has a crush on, and misses the gong, landing outside the village. There, Migo witnesses a plane crash and finds a "smallfoot" (human), whom the yetis have taken for legend. Migo runs back to tell the villagers what he saw, but has no proof. The Stonekeeper banishes him from the village. 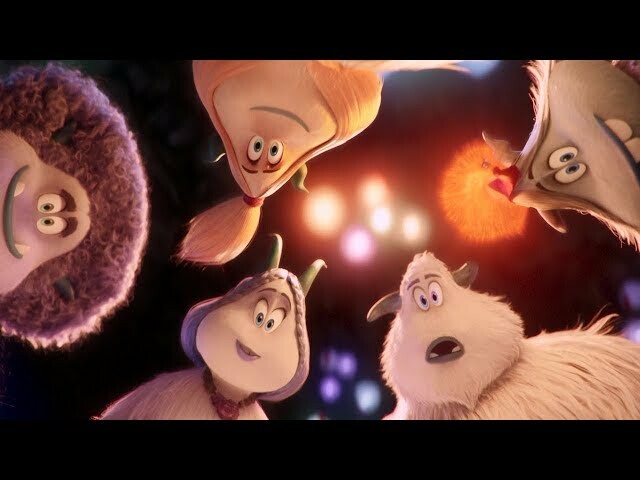 Migo is suddenly visited by Gwangi, Kolka, and Fleem who bring him to the Smallfoot Evidentiary Society (S.E.S. ), which is led by Meechee. She convinces Migo to be lowered below the clouds despite the stones telling them that there is nothing underneath. After some hesitation, Migo agrees to go, but his rope snaps and Migo falls, where he discovers land. In the village of Simikot, Percy Patterson is a human film-maker of wildlife documentaries, but he has lost his integrity. 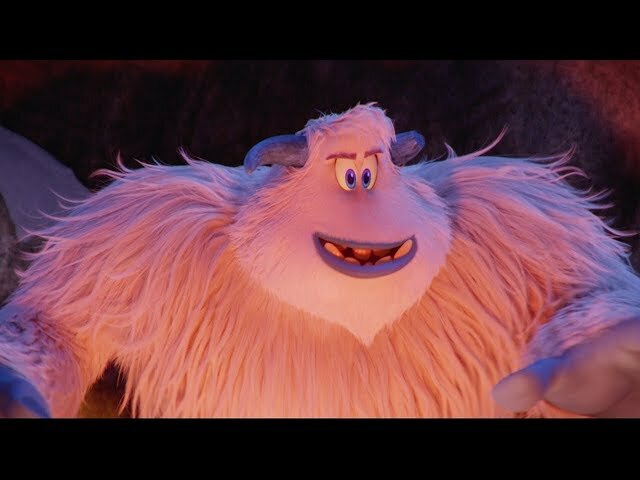 He meets the pilot who saw the yeti, and in a desperate attempt to regain his fame tries to convince his assistant, Brenda, to dress up as a yeti for filming. She abandons him instead. Migo arrives at the local pub and unknowingly scares Percy when trying to communicate with him. Migo takes Percy with him and they stop in a cave to wait out a blizzard. Percy films Migo, narrating that the Yeti plans to eat him, but finds that the video will take 28 hours to upload. He attempts to escape. While chasing after Percy, Migo's toe becomes caught in a bear trap and Percy takes pity on him by removing the trap and bandaging Migo's wound with duct tape. Percy agrees to go with Migo and they head back up the mountain, where they are reunited with the S.E.S. The film Smallfoot was scheduled to be released by Warner Bros. Pictures on September 28, 2018 (United States) and on October 11, 2018 (Germany). The duration of the film is 96 minutes. With a budget of $80 million, the film grossed over $214.1 million. Smallfoot got high rating from critics. The audience also likes the film. Audiences polled by CinemaScore gave the film an average grade of "A-" on a scale ranging from A+ to F.